Comment: Wasps, japanese beetles, mice and bats need extermination for. Comment: Bats in the attic. Comment: Have a bed bug issue. Had inspection done with K9. Need chemical remediation in multiple rooms. Comment: Mice have gotten into the house are, while not nesting in the stove, are leaving waste and odor behind. Sheboygan Pest Control Services are rated 4.55 out of 5 based on 293 reviews of 4 pros. 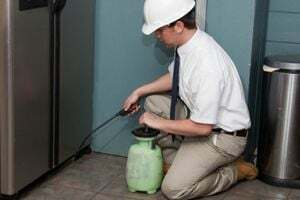 Not Looking for Pest Control Contractors in Sheboygan, WI?